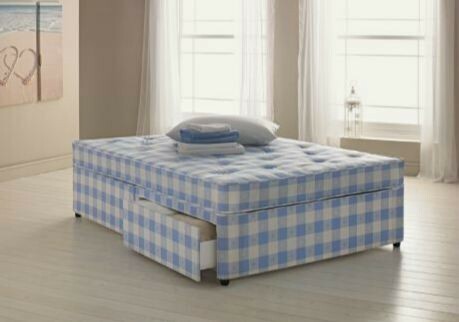 The Tiara 6ft Super King Size Orthopaedic Divan Bed features an orthopaedic open coil spring unit mattress to give a firm support which helps to support your back whilst you sleep. Divan Base comes in two vertical split halves. There is also a wide range of storage options to choose from.